Sewells have been conducting in-depth research into this premium segment of the company car market for more than six years. Results show that below Sewells User-Chooser 'profiles' (2015) are more relevant than within an industry undergoing unprecedented change. 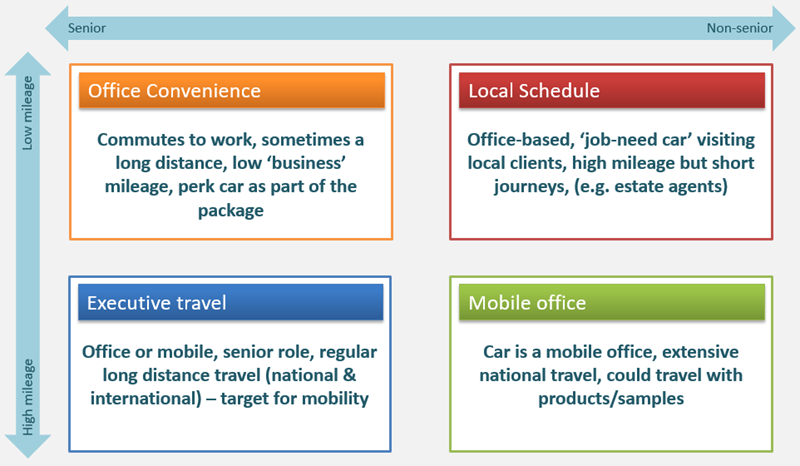 The key objectives of the project was to map out the customer journey to order a new car, including information needs, evaluation process and the relative importance of product attributes to understand key decision-making triggers around the selection process. 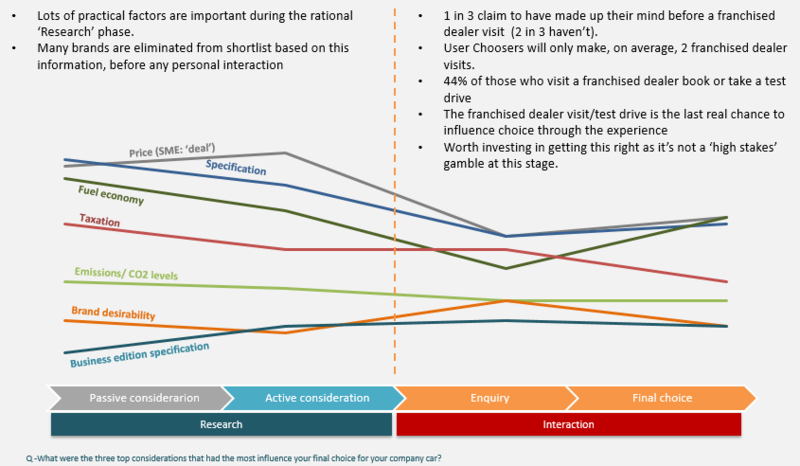 This annually updated Fleet: Driver survey delivers independent insight into the varied, nuanced and often rapidly changing trends that influence user-choosers’ choice of company car. Sewells’ Fleet: Driver tracks and measures the impact of brand influence, car selection experience, product satisfaction and information sources on the car buying decision-making journey. The most recent update to Fleet: Driver has highlighted important new trends such as a strong increase in demand for hybrid company cars to reduce benefit in kind tax and the most influential considerations when choosing a company car. Easy to read and dynamic, Fleet: Driver is considered a vital tool by both car manufacturers and dealers in gauging the strength of their brands and effectiveness of their CRM process in winning and retaining fleet sales in the premium segment. It is currently utilised by industry leaders to inform their marketing communications and reinforce their brand values.